Slender Man found footage films and Web Series Database. Read about Slender Man films, read reviews, and rate films! 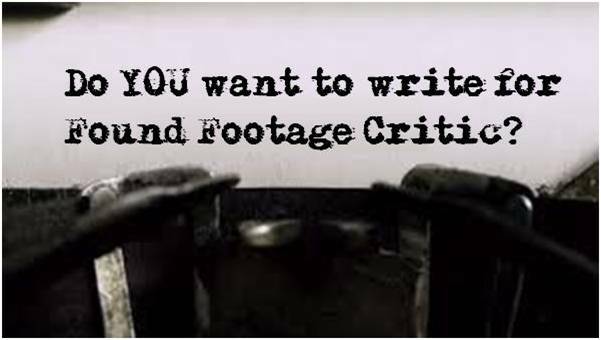 Welcome to the Found Footage Critic Slender Man fan page, a Slenderverse page wholly dedicated to the best Slender Man found footage films, web series, trailers, reviews, and ratings. Our movie database contains the most complete collection of Slender Man found footage horror films. 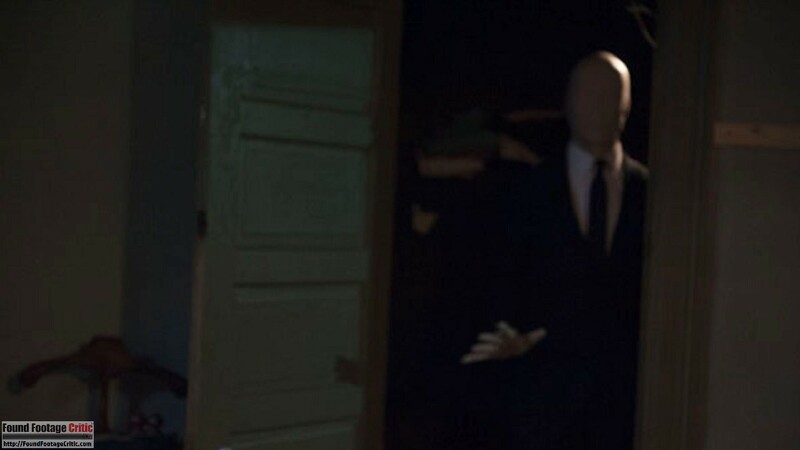 By its very nature, the Slender Man lends itself to found footage films and found footage horror, and we’ve got you covered! Since the inception of the Slender Man in 2009, the Internet has exploded with numerous permutations of the mythological being, presented as written stories, found footage horror web series and most recently found footage films. 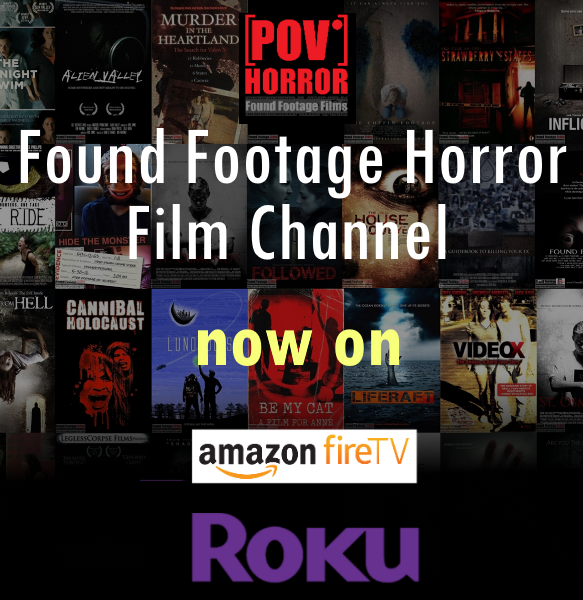 Click here to browse our Slender Man found footage film database! As a quick primer, What is the Slender Man? The Slender Man is described as a being taking the form of a tall, thin humanoid figure with long limbs, wearing a business suit, and featureless face. Some Slender Man sightings present the creature with long tentacles, branches, or claws emerging from its back. Stories often cite that the Slender Man stalks victims of its choice, often driving them insane before stealing them away. The mythical creature is also said to steal away children and has many cults following it. 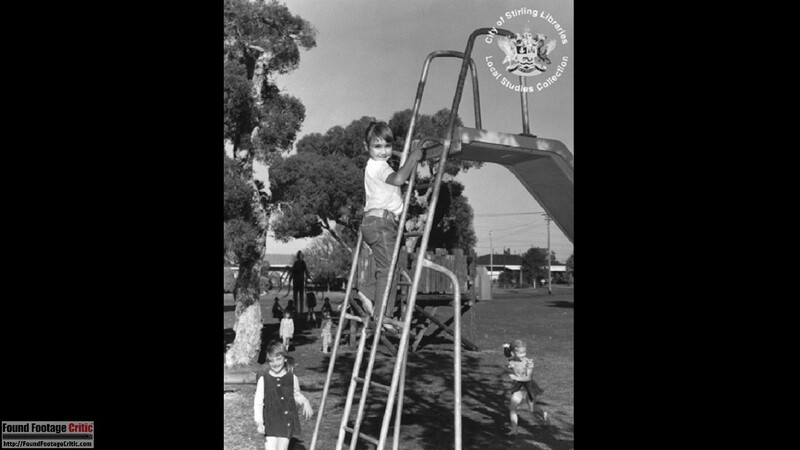 The Slender Man is known to leave its victim’s organs in plastic bags hanging from trees. Despite all the stories and empirical evidence, nobody truly knows what the Slender Man is or what it wants. 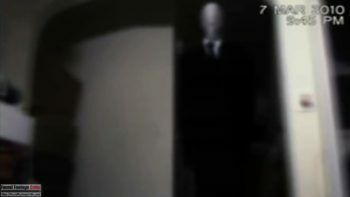 The Slender Man Mythos was born on June 10th, 2009, at 1:07 P.M. when user Victor Surge posted two images on the “Create Paranormal Images” thread on the Something Awful forum. These pictures present a tall faceless humanoid wearing a business suit, surrounded by distortion in the form of tentacles. 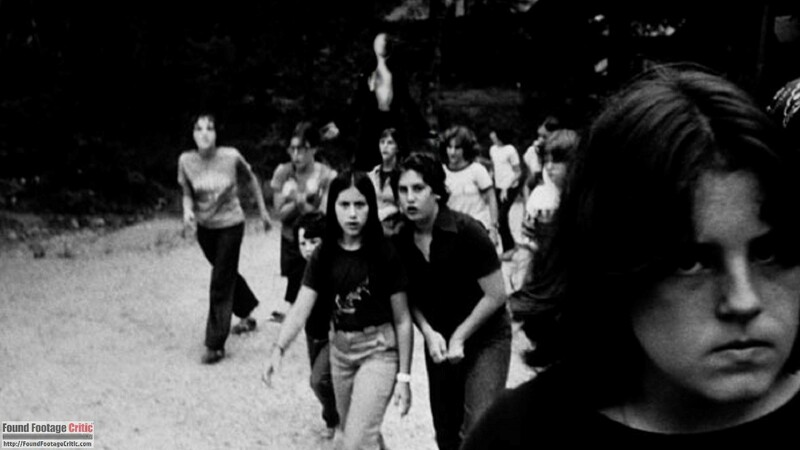 The First image shows this creature (dubbed “The Slender Man”) behind a line of students near the woods, accompanied by the caption, “we didn’t want to go, we didn’t want to kill them, but its persistent silence and outstretched arms horrified and comforted us at the same time…” The second image is of the Slender Man observing children at a playground, with a caption explaining that 14 children have going missing and the image was subsequently recovered following a library fire. Shortly following Victor Surge’s initial postings of the Slender Man, the Internet community quickly took interest in this strange off-worldly being, Victor Surge continued to create and post images (Deviant Art-1, Deviant Art-2, Deviant Art-3, Deviant Art-4, Deviant Art-5) while fans wrote stories about the Slender Man, and a mythos was born. Today, the Slender Man universe, better known as the Slenderverse, includes countless blogs, fan pages, video games, web series, and feature found footage films. Around this same time, a blog entitled Just Another Fool started up. The poster, Logan, had received a journal in the mail from a hospital his cousin Matt had been staying at. Matt had been a serviceman in Iraq and was afflicted with PTSD during an incident where his entire troop was slaughtered. He was taken to the hospital, and communicated by drawing in his journal, as he would not speak. Logan received Matt’s journal because Matt committed suicide, and had expressed desire for Logan to receive the journal before he died. Upon receiving the journal, Logan posted pictures of the pages, all of which had strange drawings which seemed to share common motifs of a spider like being, trees, and a blank face. Shortly after this, Logan went missing and his friend used the account to post about the search for him, which began turning up evidence of supernatural interference as well. 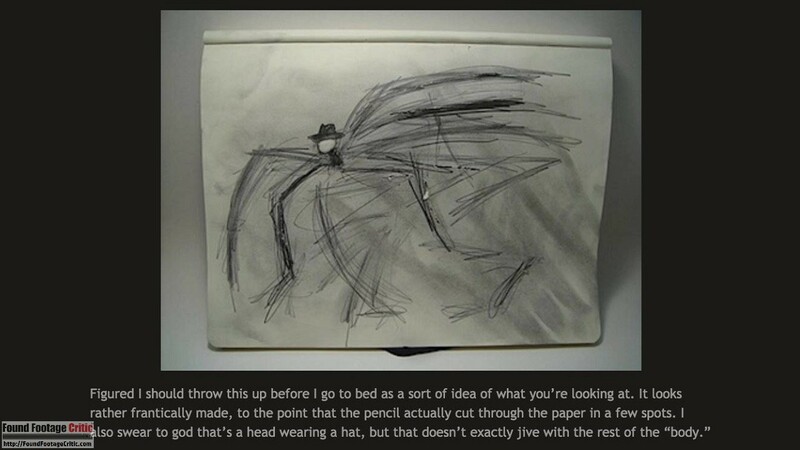 After Just Another Fool gained popularity, more of the writers who had been enamored into making stories on the Something Awful forum thread came up with the idea of writing their ideas in the blog format as well, and a large number of blogs using the Slender Man character started to surface. Many of these blogs, like Dreams in Darkness, The Tutorial, and Seeking Truth, are stand-alone stories that share little in common with the others except for the main antagonistic being. Interestingly some of these blogs started tying into each other through plots and common characters, telling one larger story made up of the smaller, individual pieces. The 6 blogs involved in crossover stories are White Elephants, A Hint of Serendipity, A Really Bad Joke, Testing 123, Anomalous Data, and Road to the Heavens. 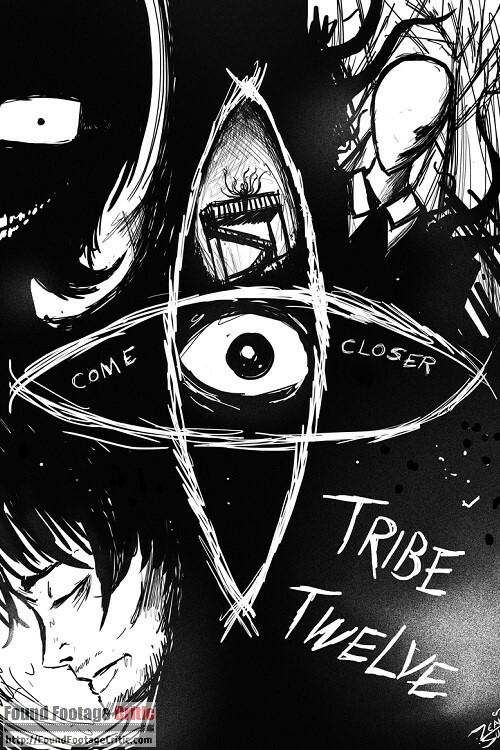 The idea of crossover stories, sometimes called “The Core Theory”, leverage many new ideas that became more widely associated with the mythos at large. The Core Theory include concepts such as the “Path of Black Leaves,” an alternate plane of reality inhabited by the Slender Man that takes the form of a long path in the woods with black leaves covering it. In these stories, it was assumed that this path was how the Slender Man could seem to appear or disappear at will – simply by shifting into the plane of reality that contains the path. These stories also popularized the idea of proxies, humans who served the Slender Man either by free will, mind control, or complete takeover of their body. These were popularized in part by the character of Redlight, a proxy who intended to crush the attempts to stop the Slender Man made by the characters of the Core Theory stories. It was also only a matter of time since the works about the character began gaining popularity before someone would create a game placing the players in the world of this being, and in 2012, Mark J. Hadley fulfilled that destiny. 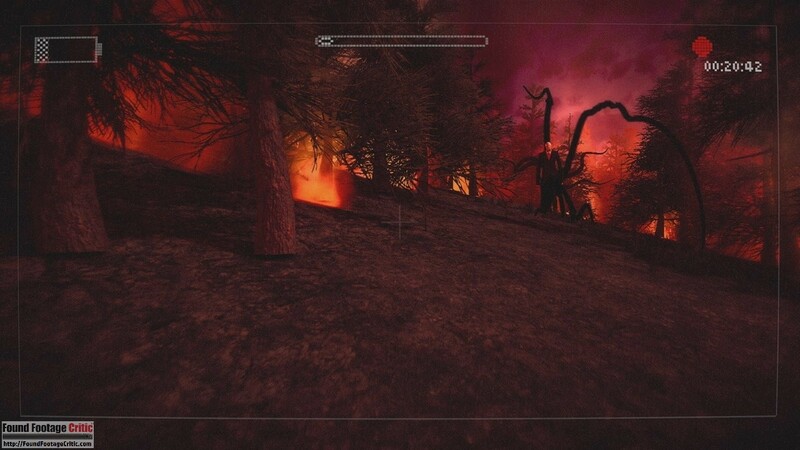 The game, “Slender” (later retitled “Slender: The 8 Pages”), was relatively basic, allowing the players to enter a large, dark forest in search of 8 pages with references to the Slender Man on them (the reason for this search is never revealed) while the creature itself follows the players. Popularity for 8 Pages exploded when Youtube personalities such as “Pewdiepie” and “Markiplier” posted play-throughs of it, causing many of their fans to seek out and play the game themselves before looking into the mythology it came from. In a formula that had become familiar to all of the platforms for storytelling about the character, many other games inspired by this one followed suit. 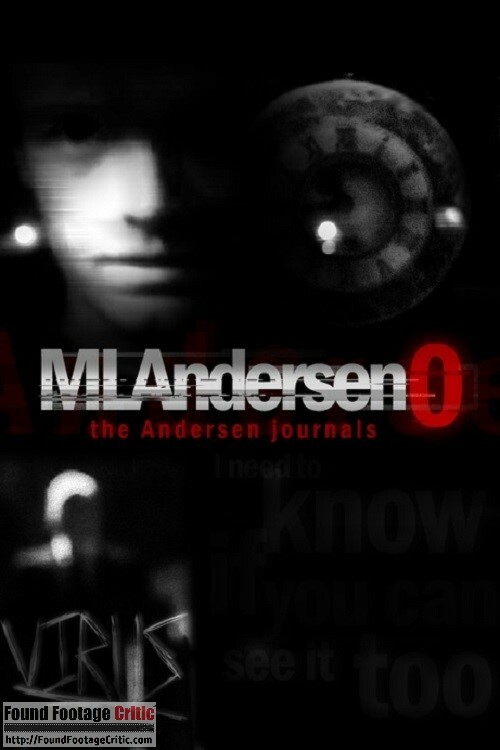 Some, such as “Slender Man’s Shadow“, followed original plots and locations while keeping similar gameplay mechanics, while some served as complete redos of “The 8 Pages”, only changing the area around but keeping everything the same. Many fans also found a game, “Slender Man“, that had been made and released in 2010 and simply had not gained the popularity. 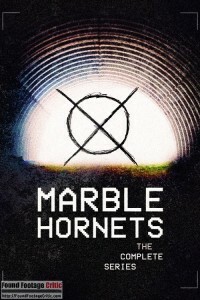 In 2013, it was announced that Mark J. Hadley was working with Troy Wagner, Joseph Delage, and Tim Sutton (the primary writers of “Marble Hornets”) on a follow-up to “The 8 Pages”. On March 26 of that year, the game, entitled “The Arrival“, was released. Framed, in a shoutout to the many found-footage web-series, as action being seen and recorded on a camera, the game had many levels, some with the same gameplay mechanic and some done in a completely new mechanic. It also had an original, complex plot, which executed the same themes of mystery, suspense, and the unknown that were used by the various web-series. 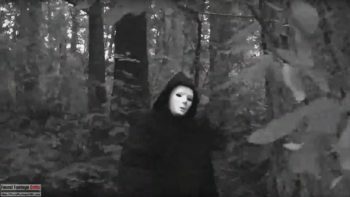 As blogs started to spring up around the Slender Man character, following the lead of Just Another Fool video series began to do the same, following the lead of Marble Hornets,. Riding the wake of the explosion of the Slender Man mythos, many new found footage horror based web series emerged, including EverymanHYBRID, TribeTwelve, DarkHarvest00, The Andersen Journals, and Caught Not Sleeping. 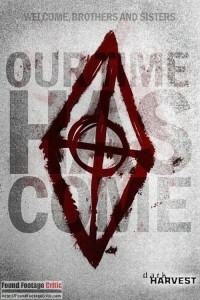 All done in the found footage horror, pseudo-documentary format that Marble Hornets started, these mainly followed unique stories that, while using the Slender Man as their main antagonist, focused on their own characters, plots, and interpretations of the mythos. 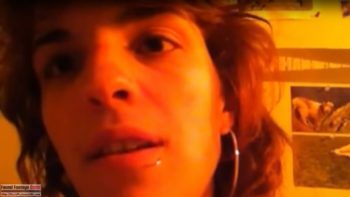 Several of these web series interacted with their fans and crossed over with one another, similar to the Core Theory stories. 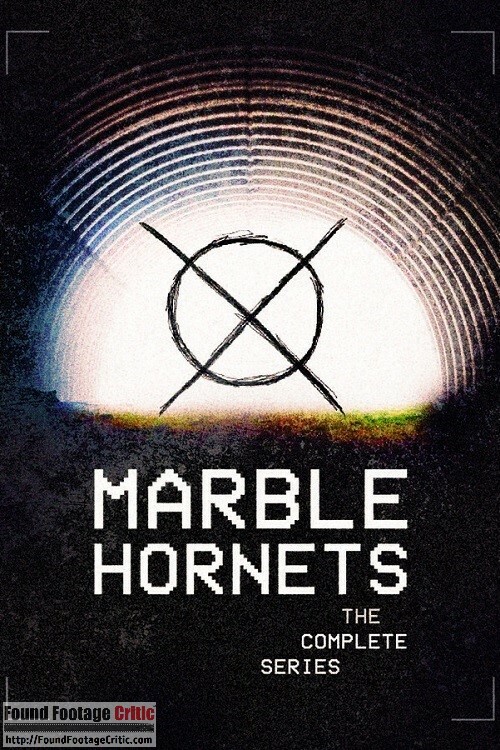 Marble Hornets, however, stayed in its own self contained universe for the series run, choosing to maintain a completely independent plot. While “Slender Man the antagonist” rose in popularity, it was only a matter of time before “Slender Man the urban legend” would begin to rise as well. 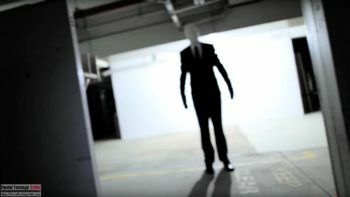 Starting primarily with “Slender Suits- The Documentary of the Slender Man“, a mockumentary, told by a character on the run from the being, about its history and sightings, many began posting “evidence” of the creature’s existence, mostly made up of staged sightings. In an ironic loop back to how it began, pictures began to show up as well that claimed to show the creature. 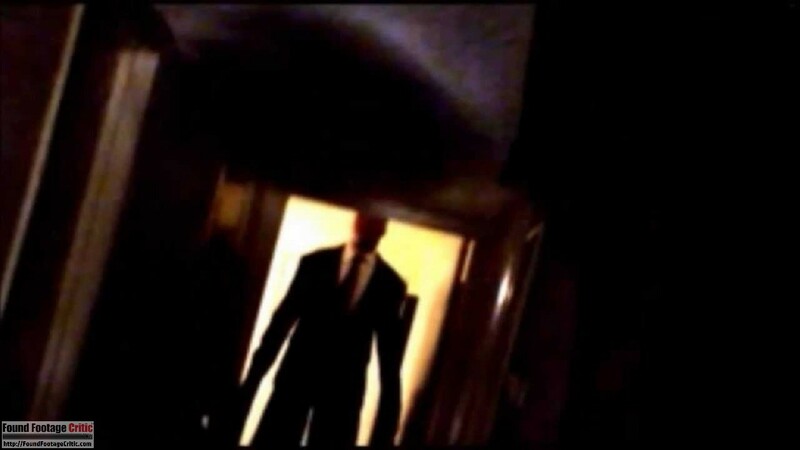 As well as this, in a manner similar to many other internet-created horror beings, the Slender Man started becoming the subject of many short, widespread internet horror stories known as “creepypastas“, and the occasional fan film. On April 7, 2015, the Slender Man found footage horror film Always Watching: A Marble Hornets Story was distributed by Anchor Bay Entertainment. 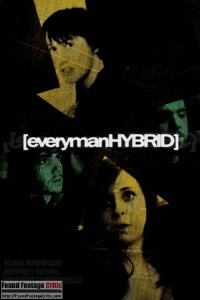 Based off of the world of the original series while keeping a purely original plot, and with the actor Doug Jones playing the tall, faceless antagonist, the movie got mixed reception by fans of the series and of horror in general, with some praising its originality, some disliking the lack of adherence to Marble Hornets, and even others just not thinking it worked as a movie. Found footage web series set in the Slenderman mythos. 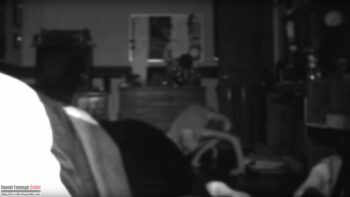 The series takes the form of video diary uploaded by Lee, who is concerned when he starts hearing strange noises in his new home. Curiosity soon turns to paranoia as the noises escalate to something far more sinister. While this web series is considered part fo the Slenderman universe (i.e. the Slenderverse), the Whispered Faith focuses on an alternate antagonist, a being known as The Speaker. Found footage film and mockumentary where a team of South Australian filmmakers sought to tell the story of the Ashman family, a missing persons case that was never solved, and the answer found them. Is the mythical being, Slenderman, behind the missing persons?